Welcome to May with Netflix where there’s no shortage of streaming entertainment to enjoy. Whether you’re looking for comedy specials, wholesome family fun or new series to binge on, there’s plenty on offer this month. Netflix Original Bill Nye Saves The World is a must watch for fans of the popular American science educator and TV presenter aka Bill Nye the Science Guy. Season 3 continues to explore science and its impact on politics, society and pop culture. Two of America’s most acclaimed and beloved comedians and writers star in Steve Martin and Martin Short: An Evening You Will Forget for the Rest of Your Life. A live comedy set filmed in South Carolina and featuring musical acts The Steep Canyon Rangers and jazz pianist, Jeff Babko, the comedians filmed the Netflix special during their tour of the same name which continues throughout 2018. Expect musical sketches and conversations about their incredible careers. Check it out from May 25. Also notable, Netflix Comedy Special, Tig Notaro’s Happy to Be Here. The stand-up comedienne is known for her dead-pan delivery and riffing on her androgynous image. Streaming from May 22. Season 1 of Danish thriller The Rain comes to Netflix this month. The series begins with two siblings emerging from a bunker to discover that a virus has completely decimated civilisation. Follow their journey through post-apocalyptic Scandinavia from May 1. Also check out Season 2 of action drama Shooter. The series stars Ryan Phillipe (Secrets and Lies) as Bob Lee Swagger, a highly-decorated war veteran who finds himself tasked with the unenviable job of preventing a plot to assassinate the President. If you’re looking for family friendly entertainment, then make a note of May 25 when Trollhunters Season 3 begins streaming. Jim is an ordinary kid whose life becomes something quite extraordinary when a magic amulet chooses him to be a Trollhunter. The animated series from Dreamworks features the voices of Kelsey Grammer (Frasier) and Charlie Saxton (Cooper Barrett’s Guide to Surviving Life). 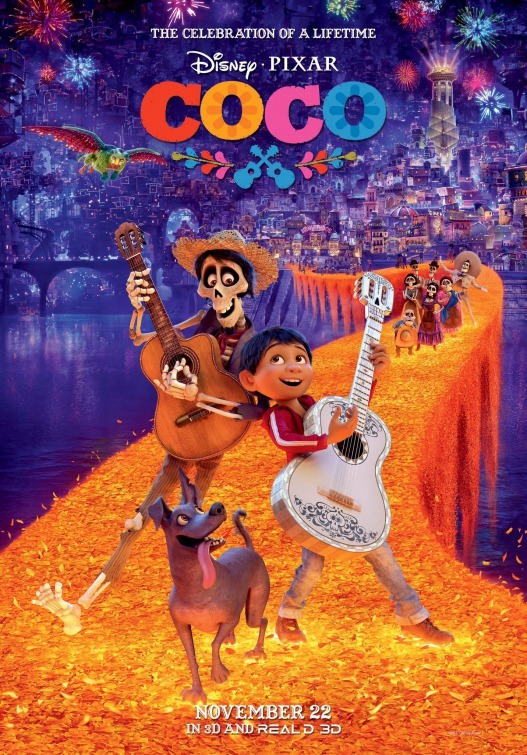 Disney Pixar’s 2017 offering Coco hits the streaming giant in May. The animated film centres around young Miguel whose dream of becoming a musician is at odds with his family’s generations-old ban on music. A mysterious unfolding of events sees Miguel transported to the Land of the Dead where he sets off on a journey to uncover the secrets of his family history. Sit down with the kids to catch this sweet Oscar award-winning film from May 29. If you’re looking for movies to cosy up on the couch with, there are a bunch to consider. Judd Apatow’s hilarious The 40-Year-Old Virgin stars Steve Carell (Anchorman) as the hapless but deeply adorable virgin. Scream 2 is available from May 1 if you fancy some classic Hollywood slasher fun. Also available from the first of the month, The Bourne Ultimatum is the third film in the Jason Bourne franchise starring Matt Damon (Interstellar). And if you liked 2011’s critically acclaimed Drive, then check out Only God Forgives which sees star Ryan Gosling and director Nicolas Winding Refn team up again for more seriously dark and disturbing cinema. Read on for a full list of new arrivals along with what’s leaving Netflix this month. Read on for a complete list of new titles this May. Angie Maddison is a contributor for Streambly. You can follow Angie on Twitter.